ABC Training Services Ltd is committed to providing a flexible schedule and first aid training courses that are tailored to your needs. Take a look at our course schedule and contact us to arrange your course today. We provide professional first aid and health & safety training courses across the United Kingdom, for both private customers and companies alike. Whatever the nature of your business or career, our first aid training helps keep you prepared for any emergency. The First Aid at Work Requalification is designed for anyone who wants to update and refresh their existing first aid skills. The course covers how to help someone who is unresponsive, choking, bleeding, burnt, suffering from shock, or having a seizure. 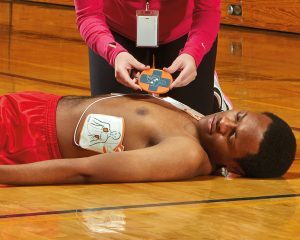 It also covers medical emergencies such as heart attacks, strokes, asthma attacks and anaphylactic shock.